To coincide with President Vladimir Putin's birthday on Saturday, Russian opposition leader and presidential hopeful Alexei Navalny's campaign has called for nationwide demonstrations. Navalny was recently sentenced to 20 days behind bars ahead of a campaign event in Nizhny Novgorod. Protests are planned in 80 Russian cities, from Belgorod, near the Ukrainian border in western Russia, to Yekaterinburg in the Ural Mountains and Irkutsk, one of Siberia's largest cities. Events will be held throughout the day — at 2 p.m. in Moscow and 6 p.m. in St. Petersburg, Putin's hometown. Moscow Times staff will be reporting from both rallies. 12 p.m. — Protests have already been held in several Far Eastern cities, including in Vladivostok, Khabarovsk, and Ulan-Ude. Attendance was low, with only dozens of people attending, according to media reports. 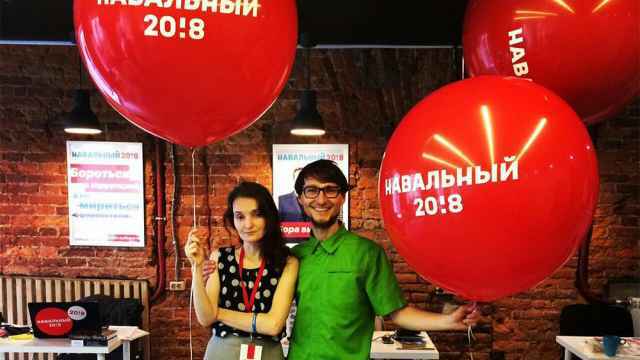 — In several cities, including in Krasnodar and Smolensk, regional coordinators of the Navalny campaign have been detained and sentenced to several days behind bars for organizing unsanctioned protest rallies, the police monitoring website OVD-Info reports. Other campaign employees, including several lawyers, have also been detained. — Ahead of Saturday's demonstrations, an unidentified source told the Interfax news agency that police in St. Petersburg had been instructed to "act very harshly," against protesters. On Saturday, photos showed there were renovation works going on at the planned protest site. — Some media also report protesters have been detained. The reports have not been confirmed so far. 13:39 p.m. — Ahead of the Moscow protest, there is a moderate police presence in the city center. 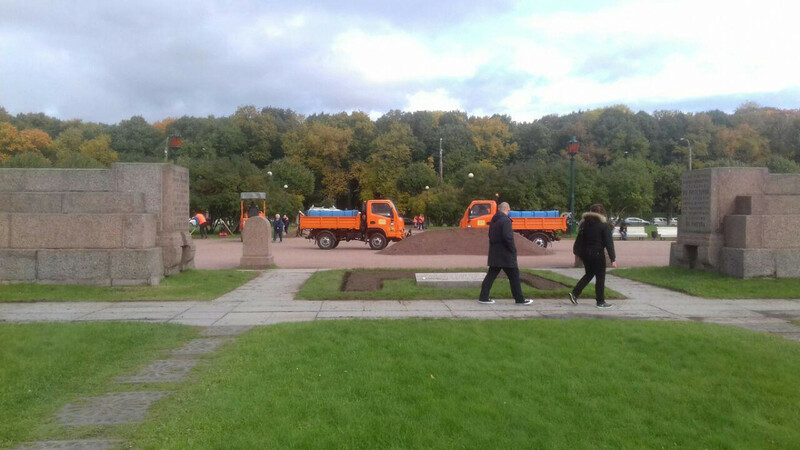 Around 5 law enforcement vans have lined up on Moscow's Revolution Square, a Moscow Times reporter on the scene reports. Members of volunteer 'druzhinniki' brigades have come out to reinforce police on Pushkin Square. 14:00 p.m. — Several hundred people have gathered at Moscow's Pushkin Square, a low turnout compared to earlier protests. — A retired man, who asked to be identified only as Sergei, tells The Moscow Times: "I came here to see how the youth will behave. But what can we expect? They will all be detained. The authorities won't allow Navalny to do anything, they've put him behind bars now. I worked at a factory for 40 years but my pension is 15,000 rubles ($260)." — The crowd size has gradually grown, with some Russian media estimating around 500 people have come to Pushkin Square in Moscow. Protesters chant: "Happy birthday, Putin! ", "Free Navalny!," "Russia without Putin!" and "Navalny is our president!" 15:00 p.m. — The OVD-Info police monitoring website reports that at least 40 people have been detained ahead of and during the Navalny protests in Samara, Izhevsk, Saratov, Pskov, Yuzhno-Sakhalinsk. In Yekaterinburg, at least 24 people have been detained, according to the Mayor Yevgeny Roizman, who also attended the rally. Some media report arrests have also begun in Moscow. — St. Petersburg authorities reiterate a warning that attending an illegal rally could lead to arrest, urging residents and visitors to stay away. A Moscow Times reporter on the site says police have begun patrolling the area ahead of the protest, scheduled for 6 p.m. There also appears to be construction work going on at the Field of Mars protest site. 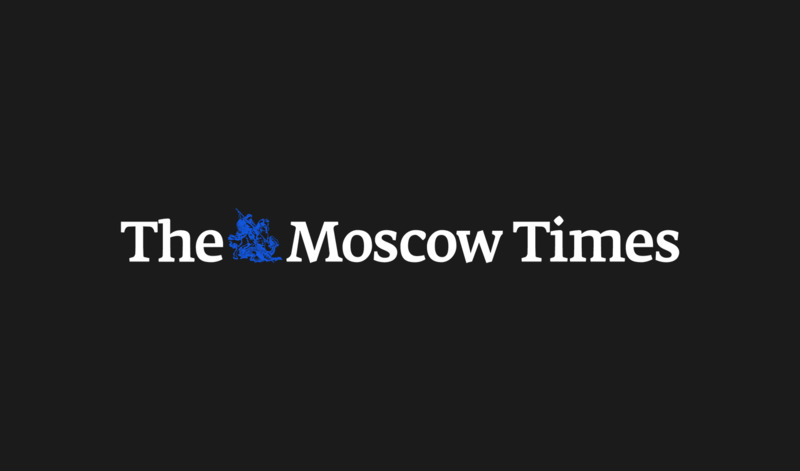 16:00 p.m. — The Interfax news agency cites Moscow police as saying the rally in Moscow has gathered around 700 people, including journalists. As some marched towards the Kremlin, law enforcement closed off Red Square, amid pouring rain. 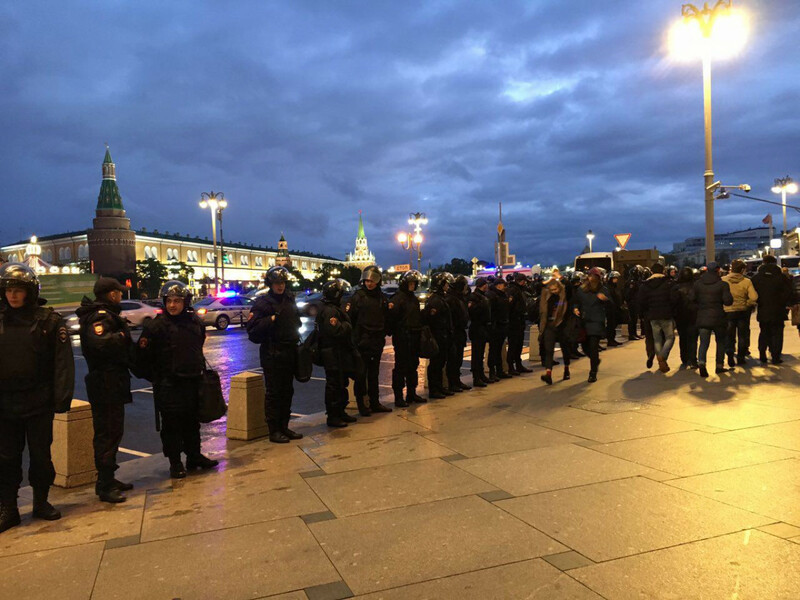 In St. Petersburg, a Moscow Times reporter counts roughly ten riot police buses and several dozen police cars on standby just behind the Cathedral of Spilled Blood, ahead of the 6.p.m. rally. — According to new figures from the OVD-Info police monitoring site, around 104 people have been detained in 22 Russian cities — at least 18 people in Yekaterinburg, 12 in Tula, 11 in Saratov, 10 in Samara and 8 in Nizhny Tagil. 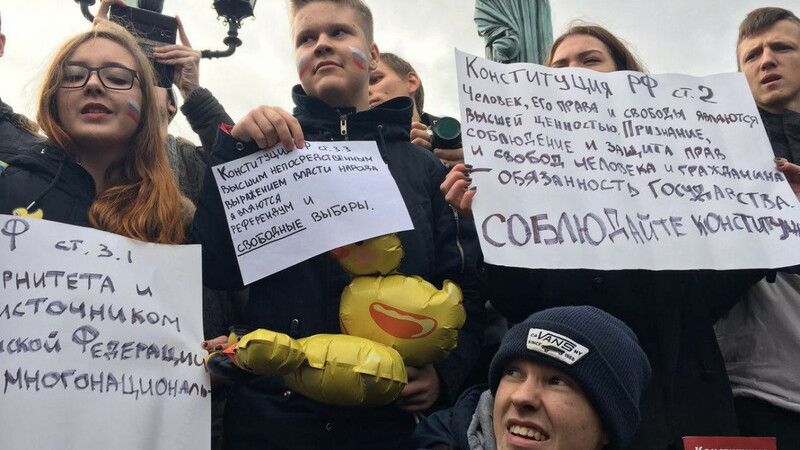 More people were detained at rallies in Kaliningrad, Krasnodar, Perm, St. Petersburg, Pskov, Rostov on Don, Saransk, Sochi, Stavropol, Tver, Tyumen, Yakutsk and Yuzhno Sakhalinsk, as well as Moscow. In Yekaterinburg, a protester was pictured lying on the ground unconscious surrounded by police, reportedly after being beaten. 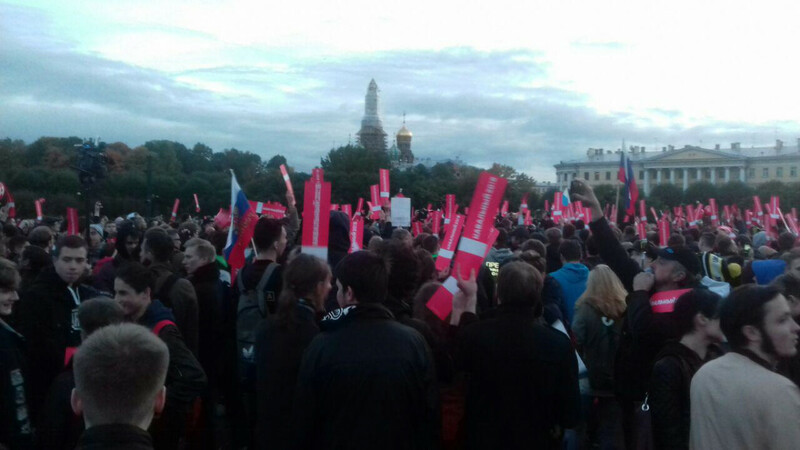 16:45 p.m. — The protest in Moscow is still going strong. Crowds sing the national anthem and the song "Everything is going according to plan," about the perestroika era. 17:30 p.m. — In St. Petersburg, Putin's hometown, people have begun gathering at the Field of Mars protest location. Ahead of the events, city authorities have warned of detentions. — Updated figures from the OVD-Info police monitoring website say that 124 people have been detained across 23 Russian cities. Most detentions were carried out in Lipetsk and Yekaterinburg. — Some of those attending the rallies are teenagers. 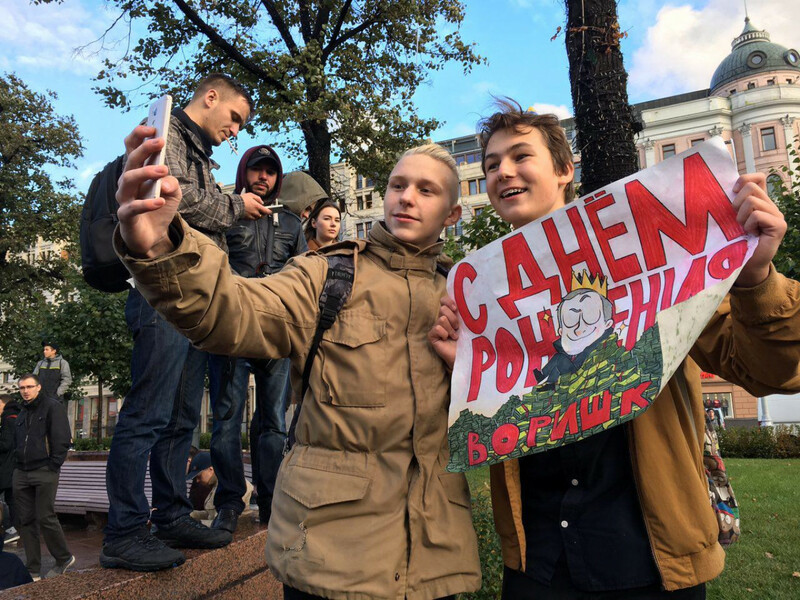 "I'm not a supporter of either Navalny or Putin," Alexander, a 15-year-old at the Field of Mars protest site in St. Petersburg told The Moscow Times. "I'm simply here to watch. I know it's dangerous to be here but it doesn't matter, I'll be careful." 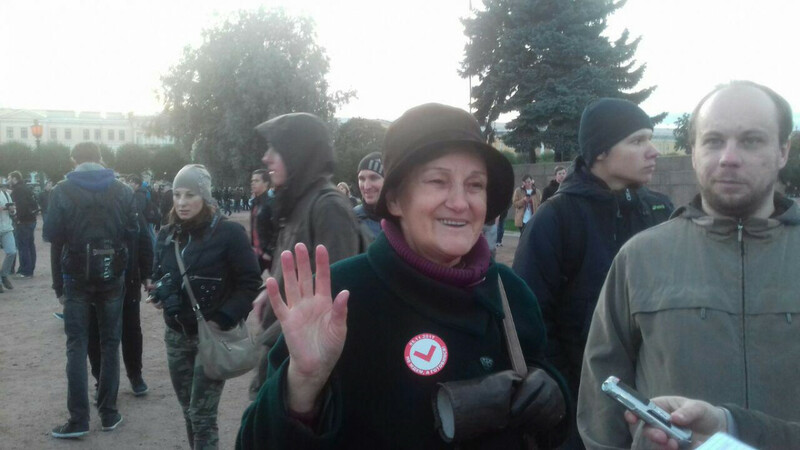 — " I am here because I am against Putin and his gang," Valentina Stefanovna, 70, tells The Moscow Times. " I don't really like Navalny but I am against what is going on with our government and I am against Putin. I stand for our constitution and I want to see changes in the government." A small group of protesters holding Catalonian flags have appeared on the Field of Mars site, saying they are protesting Spanish police violence. — 18:10 p.m. 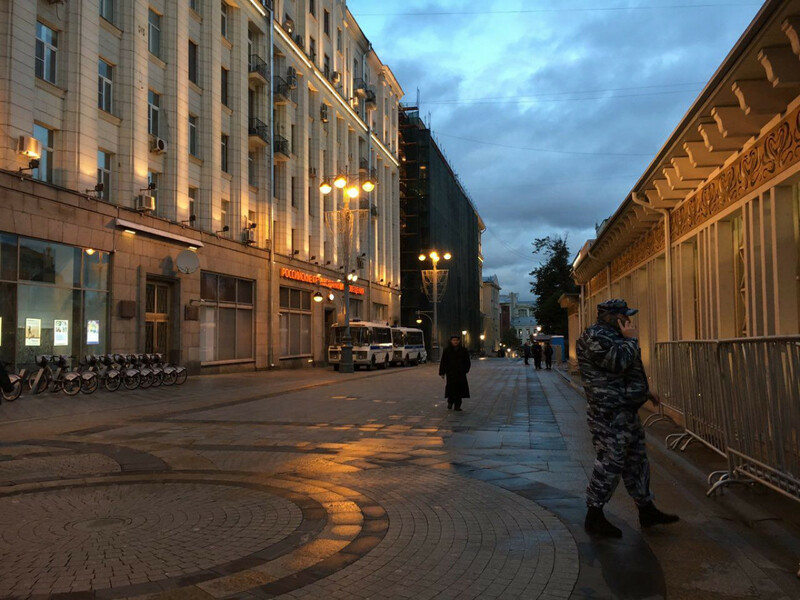 In Moscow, most protesters have gone home. — A loudspeaker announcement is offering free tickets for a screening of the film "Krym," set in Crimea, a Moscow Times journalist reports from St. Petersburg. Several hundred have begun chanting: "Putin is a thief!" and "Free Navalny!" — Media reports police have begun detaining protesters in St. Petersburg, using force. 21:30 p.m. — The latest figures from OVD-Info say in total 271 people across 26 cities have been detained. Most protesters were detained in St. Petersburg, where riot police detained 62 people, often using force. With that report, we're ending today's live blog. For the news story click here.